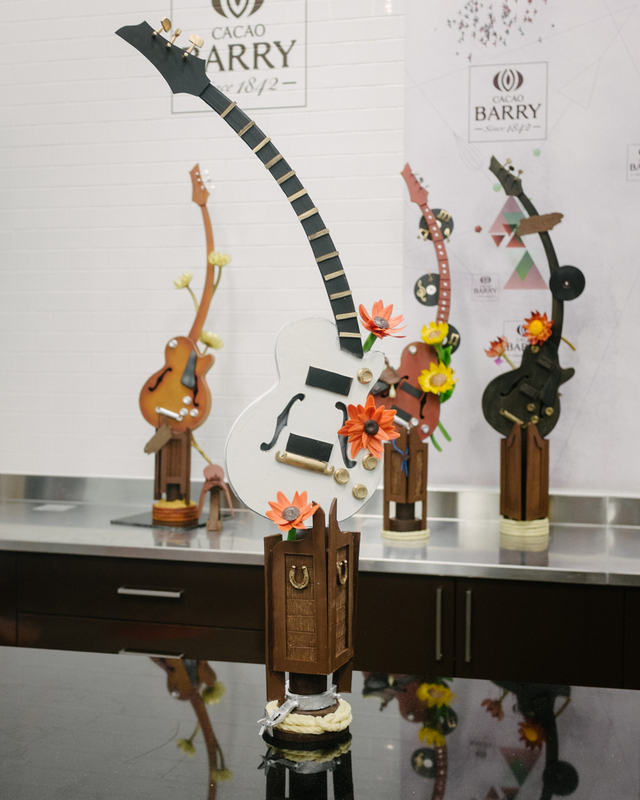 In April 2015 I attended the "Advanced Chocolate Showpieces" class at the Barry Callebaut Chocolate Academy in Montreal. Our theme for the class was country music. 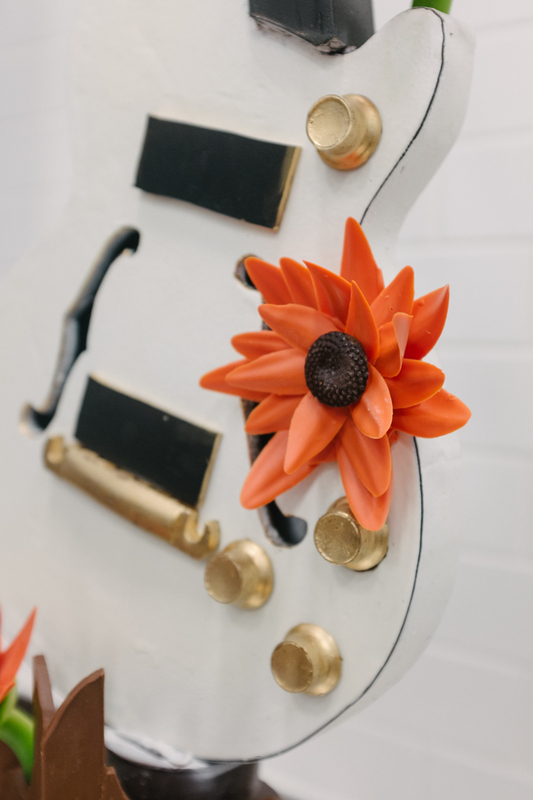 We all started by building out a hollow-bodied electric guitar and then, from there, found inspiration in Old Western items like saloon doors, horseshoes, cattle rope, and spurs. And for a splash of color, some flowers. 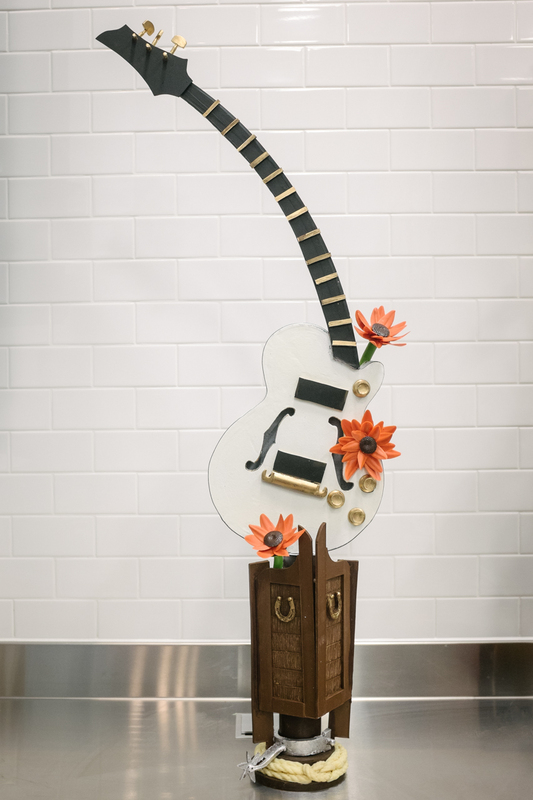 Giddyup. 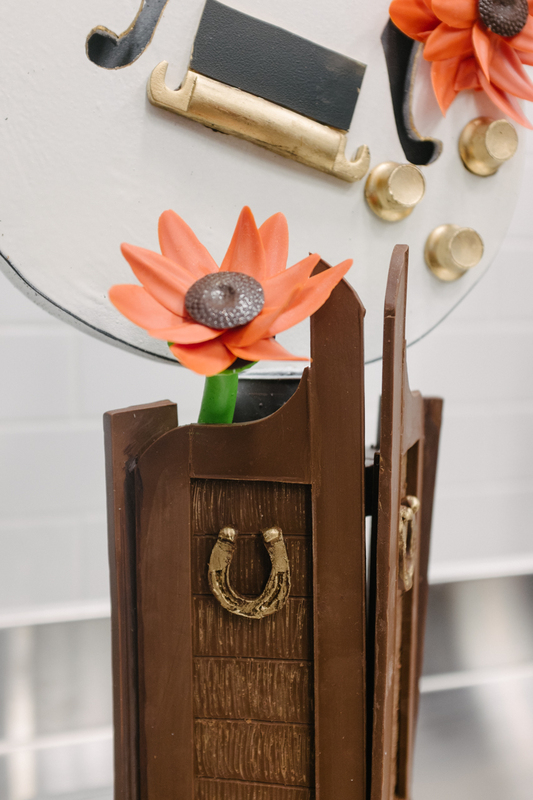 I learned some great new techniques and met other wonderful people with a passion for chocolate like Daniel Stubbe, of Stubbe Chocolates. I was very fortunate for the opportunity and hope to take another course soon.